This month’s Alumni Ink is dedicated to Emory’s food writers and food lovers who savor their descriptive phrases as much as their tended gardens and cherished recipes. This holiday season, dig into these great reads by Emory alumni and friends. Through the pages of Good Food, Ayres points out that her “analysis, theological reflection, and practices here described are inspired by the efforts of Christians in the United States to respond faithfully to the global food system.” Ayres challenges people of faith to participate in communal initiatives that will make a real difference--to support local farmers, grow their own food, and advocate for fair food policies. Good Food equips readers with the theological and practical tools needed to safeguard that which sustains us: food. Read an interview with the author here. 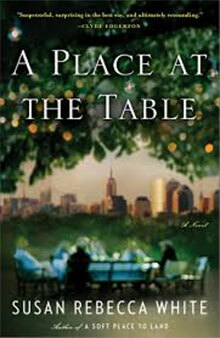 A Place at the Table by Susan Rebecca White. Amazon describes, “From Susan Rebecca White, award-winning author of A Soft Place to Land and Bound South, comes a breathtaking story of three richly nuanced outcasts whose paths converge in a chic Manhattan café as they realize they must give up everything they thought they knew to find a home at last. “Alice Stone is famous for the homemade southern cuisine she serves at Café Andres and her groundbreaking cookbook, but her past is a mystery to all who know her. Upon Alice’s retirement, Bobby Banks, a young gay man ostracized by his family in Georgia, sets out to revive the aging café with his new brand of southern cooking while he struggles with heartbreak like he’s never known. Seeking respite from the breakup of her marriage, wealthy divorcée Amelia Brighton finds solace in the company and food at Café Andres, until a family secret comes to light in the pages of Alice’s cookbook and threatens to upend her life. “In her most accomplished novel yet, Susan Rebecca White braids together the stories of these three unforgettable characters who must learn that when you embrace the thing that makes you different, you become whole.” Read more in this issue. 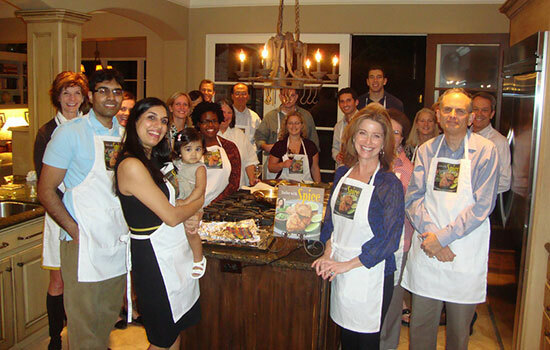 Shubhra Ramineni, wife of Dr. Naveen Ramineni 93C, has hosted Indian cooking demonstrations and dinners for the Houston Alumni Chapter. 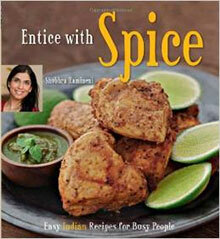 Entice with Spice "shows Indian food enthusiasts how to prepare delicious meals at home without spending hours in the kitchen. A first generation Indian-American, author Shubhra Ramineni has developed a no-fuss cooking style that re-creates authentic Indian flavors using easy techniques and fresh and readily available ingredients." "The Indian food lover will find nearly 100 recipes—from samosa to naan and mouthwatering curries—for easy-to-make versions of popular dishes from both the North and South of India. Throughout this practical book Shubhra shares tricks and shortcuts she has learned from her mother, who is from Northern India; her mother-in-law, who is from Southern India; family members in India, and professional chefs in the U.S. With a friendly, reassuring voice, Shubhra shows busy home cooks how simple it is to quickly prepare a homemade Indian meal that tastes wonderful, looks elegant and is healthy, to boot," Amazon describes. 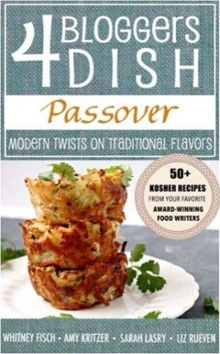 Amy Kritzer 05B shares her e-cookbook, 4 Bloggers Dish: Passover; Modern Twists on Traditional Flavors, and "brings mouth-watering, kosher recipes from four passionate award-winning food writers. Aside from incredible recipes, this e-cookbook also includes step-by-step instructions and beautiful visuals as well as helpful tips such as Freezer Instructions, Prep Ahead Rules, and a To-Go Guide that make this a must-have cookbook for every at-home chef for not only the Passover season, but all year long." Read the article in this issue. Rebecca Gilbert 97MBA shares It's Easy to Start Eating Vegan! YUMMY PLANTS 101 is a beginner's guide to help you start eating vegan today. The book offers practical tips including easy egg and dairy substitutions, ideas to stock your vegan pantry, plant-based protein sources, tips for navigating social situations, sample meal plans, and tasty, easy-to-make basic recipes. Read the article in this issue. Jeremy Hendon 01C and his wife, Lousie, have launched The Essential Paleo Cookbook, available in the iTunes store and in print. Paleo Living Magazine describes, “The #1 Reason people fail on a Paleo Diet is because they can't make delicious and healthy food fast enough. 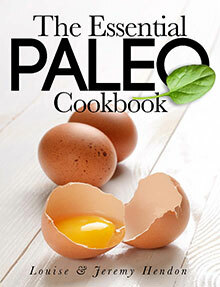 We created The Essential Paleo Cookbook to help anybody make amazing Paleo meals in less time. We know there are other cookbooks with more recipes. However, we intentionally decided to include only our best and most popular recipes, so that everything you cook will be easy, delicious, and amazing.” Learn more here. Do You Know how Amazon Smile Can Benefit Emory University? AmazonSmile is a program operated by Amazon that lets customers enjoy the same wide selection of products, low prices, and convenient shopping features as on Amazon.com. The difference is that when customers shop on AmazonSmile, the AmazonSmile Foundation will donate 0.5% of the price of eligible purchases to the charitable organizations selected by customers. When making your purchases on Amazon, you can select Emory University and Amazon will donate a portion of your purchase price to that organization. To get started, log in to smile.amazon.com with your regular Amazon account and search “Emory University” in the “Pick your own organization” box. For program details, visit the AmazonSmile website. Editor's Note: It's easy to give back to Emory - simply by shopping the same way you always do. Visit smile.amazon.com to learn just how easy it is to be philanthropic!